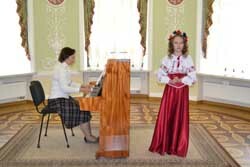 On October 22 a long-awaited musical event - Andriy Rozumovskyi IV Regional musical festival-competition of young performers took place in Hetman Rozumovskyi Palace (Baturyn, Ukraine). 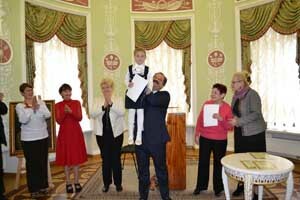 This good tradition started in 2012 in Baturyn palace when we celebrated the 260th birthday anniversary of Andriy Rozumovskyi - the most favourite son of Hetman Kyrylo Rozumovskyi, plenipotentiary ambassador in Vienna in the years of the Congress 1814-1815, famous patron of musicians. He is world- known for his role as patron of Ludwig van Beethoven who dedicated three String Quartets, Op.59 1, 2 and 3, as well as the 5th and 6th Symphonies to him. In such a difficult time for Ukraine we all found the strength not only to continue what we started four years ago - the tradition to hold a festival, but also to increase it — both quantitatively and qualitatively. The amount of contestants was a record in the history of our festival — 56 ! 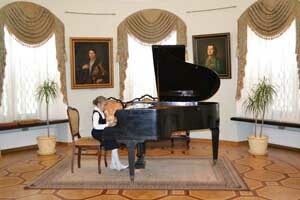 The musical competitions were held in two categories: vocal and piano. The age of young competitors was from 9 to 15 years. Thus, the popularity of the contest grows. 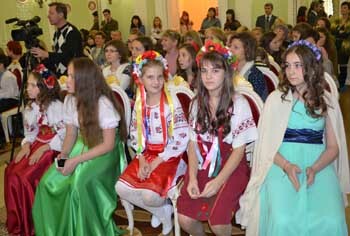 Young talents who came to the competition is not just our future, but the cultural elite of the nation which we are proud of. 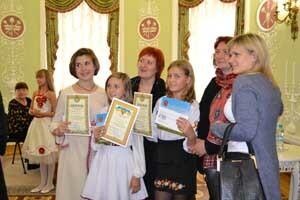 Their participation in the event is a small fraction of the fight for a strong, prosperous, spiritual life of Ukraine!